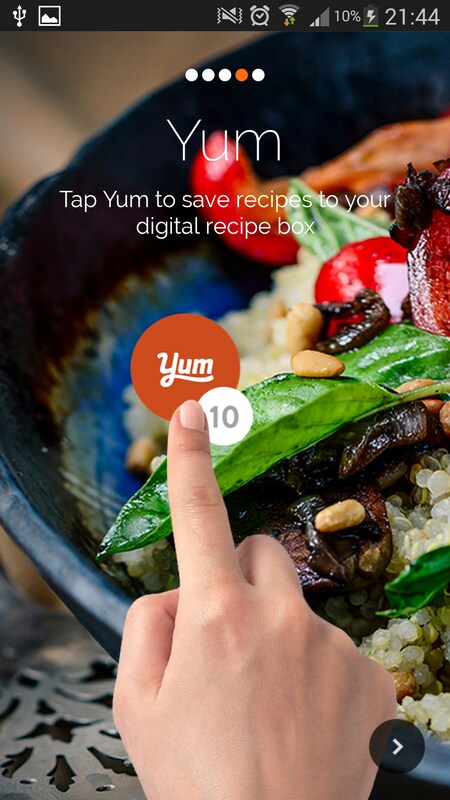 Yummly Recipes & Recipe Box – Soft for Android 2018 – Free download. 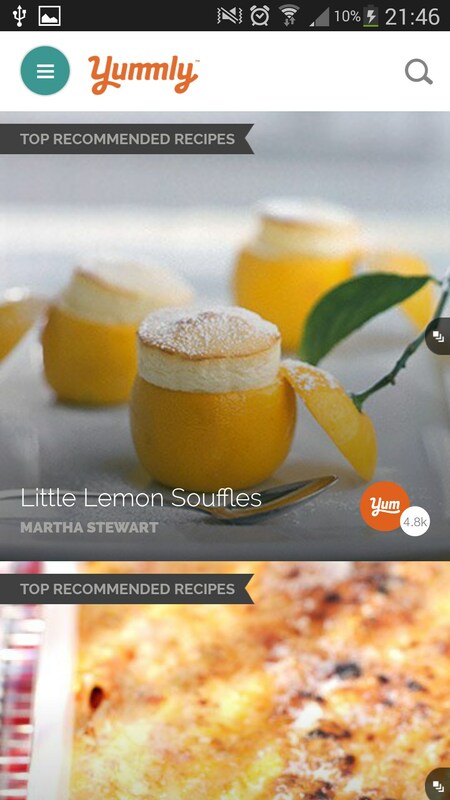 Yummly Recipes & Recipe Box – Amazing recipe suggestion app. 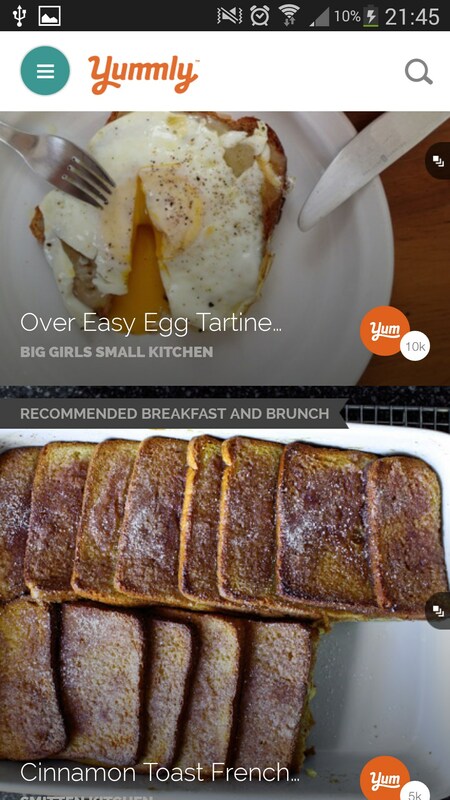 Apps like Tinder may be good for picking up a new date with a potential friend or partner. 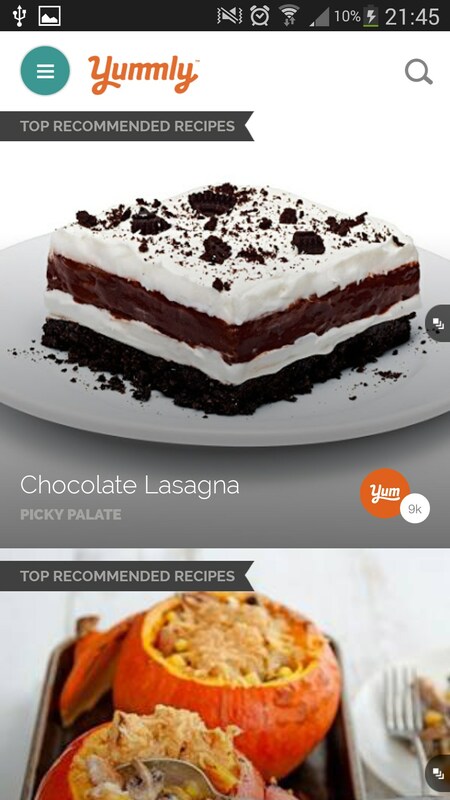 But if you're interested in a date with a nice home cooked meal or dessert, then Yummly Recipes & Recipe Box for Android may be a much better alternative. In this app, you'll be given access to what feels like an endless supply of free, incredibly tasty recipes. To use this app, you will need to sign in with an email, Facebook or a Google account. 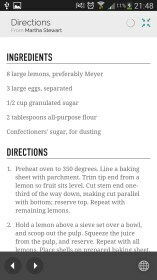 Once you have done this you will be given access to a large range of recipes, all of which can be viewed from a minimal menu that is within a parallax scrolling tab. By this I mean that you can keep scrolling for what feels like forever to find recipes that you like. 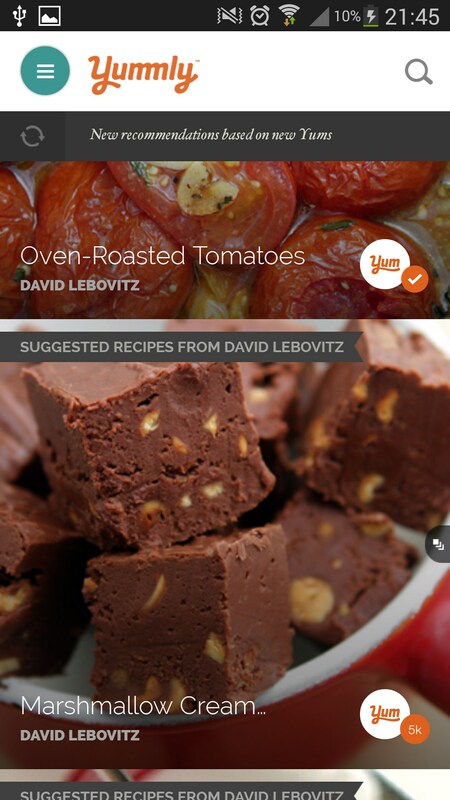 Once you see a recipe you do like, you can tap the 'Yum!' button, and it will save it to your favorites. 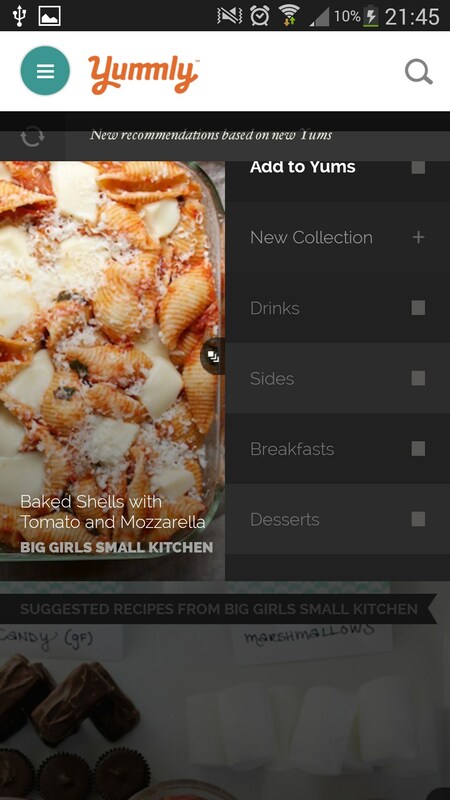 Saving recipes to your favorites does two things. 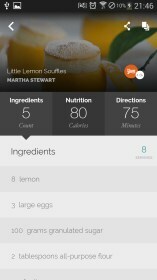 Firstly, this recipe will now be easier to find in the future, and secondly, it will be used to redefine your recipe list so that more recipes are shown that fit in with your current tastes. 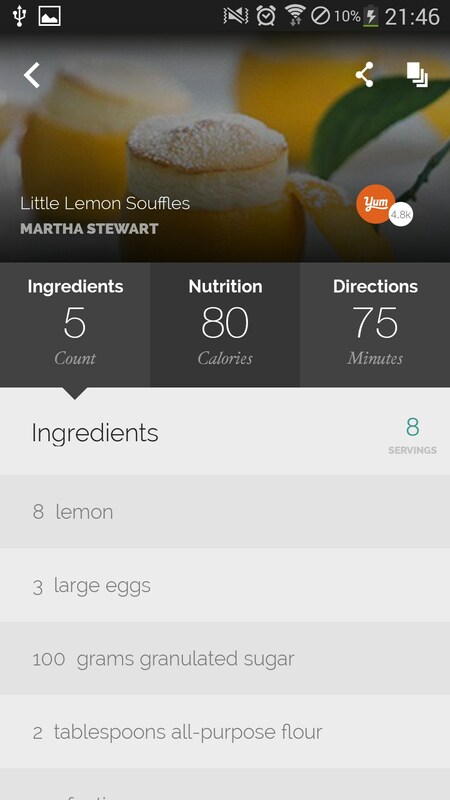 Any recipes in the app can be viewed on their own page, and from here you will be given detailed cooking instructions, information about ingredients and even a summary for nutrients and calories. This is quite important considering that there are a lot of very nice looking cakes in this app. 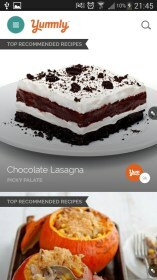 Yummly Recipes & Recipe Box is free to download and install, and surprisingly there are no in-app purchases whatsoever, but you may notice some ads here and there. 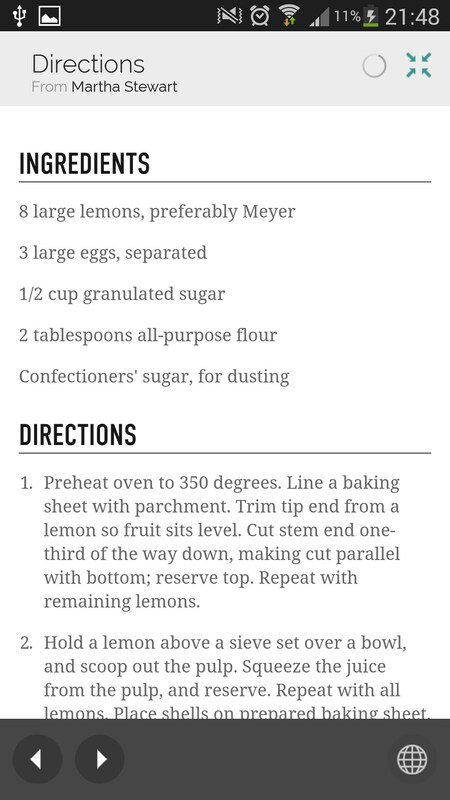 The app occasionally seems to be a little slow at loading recipe pages.